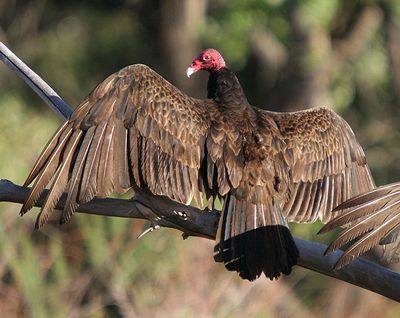 The Turkey Vulture is a scavenger and feeds almost exclusively on carrion. It finds its meals using its keen vision and sense of smell, flying low enough to detect the gasses produced by the beginnings of the process of decay in dead animals. The Turkey Vulture, Cathartes aura, also known in some North American regions as the Turkey Buzzard or “buzzard”, is a bird found throughout most of the Americas. One of three species in the genus Cathartes, in the family Cathartidae. It nests in caves, hollow trees, or thickets, each year generally raising two chicks, which it feeds by regurgitation. It has very few natural predators. In the USA, the vulture receives legal protection under the Migratory Bird Treaty Act of 1918. Hollow Trees Farm, Suffolk | Suffolk U.K.
A believer, bird in a cage, Cage, Eagle, Turkey Vulture, Vulture. Bookmark.